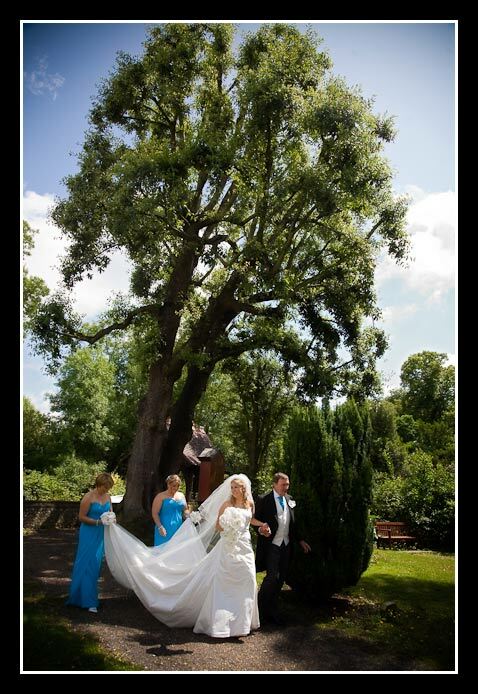 Painshill Park is one of the wedding venues we have on our list of places we’d like to work at. So we were delighted when Nick & Caroline invited us to cover their wedding there. We were impressed with Painshill Park because due to special circumstances, Nick & Caroline had to move their wedding forward a few weeks and Painshill, along with most of the other wedding service suppliers, were very accomodating. So it was a great day. Even though it was raining we were able to use the grounds and we have loads of favourite images. We always have the nicest of couples to work with but we felt that we really connected with Nick & Caroline. We were restricted in the photos we could take during the wedding service so we were glad to get these 2 of Caroline walking down the aisle. Everybody was smiling at this wedding! Despite the rain, Nick & Caroline were up for some photos outside in the vinyard at Painshill Park. Nick has a last minute review of his speech. But there was no need to worry as it was very well received. For this shot of the first dance, Sarah was crawling on the floor. See how hard we work for our art! We’d just like to say how great it was to work again with Andy Louca from Zeus films. 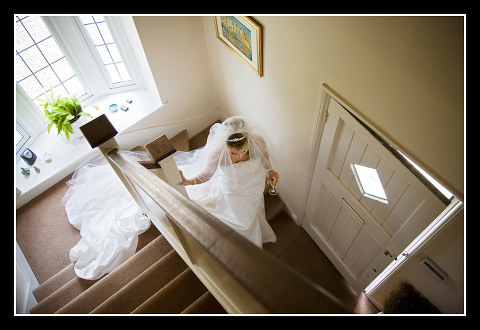 If you’re looking for a wedding videographer you need to visit his website www.zeusfilms.co.uk.